Лэйбл принадлежит компании Discomforme Sl, Spain (зарегистрирован в Андорре). 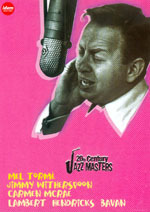 Выпускает только Jazz на DVD. Для настоящих ценителей истинного джаза представляет большой интерес. Диски отличаются полнотой материала, прекрасным качеством записи. Цена на диски такого уровня качества очень низкая (ориентировочно 18-20у.е. в Москве). 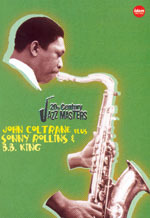 Filmed in October 1961 with his classic quintet. With Nat Adderley, Joe Zawinul, Sam Jones and Louis Hayes. / Filmed in May 1962. With John Lewis, Milt Jackson, Percy Heath and Connie Kay. A collection of interviews filmed in January 1963 where Satchmo is interviewed and demonstrates his technique. / Filmed in February 1963. With John Grein and Earl Watkins. Filmed in May 1968. With Norman Keenan, Freddie Grein and Sonny Payne. / Filmed in February 1963. With Gildo Mahoens, George Tucker, Jimmy Smith and Pony Poindexter. Two of the concerts that forged the future of Jazz when Blakey gave a great opportunity to the Marsalis brothers. 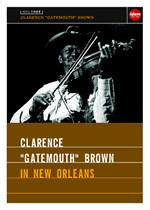 With Winton and Branford Marsalis, Billy Pierce, Donald Brown and Charles Fambrough. Recorded in 1981-1982. 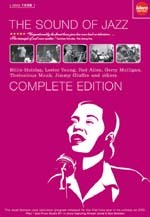 All the master tenors that recorded for Jazz Casual on one single DVD. 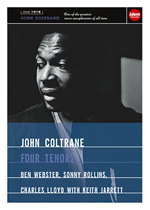 It includes performances in quartet of Coltrane, Webster, Rollins and Charles Lloyd, all of them joined by a stunning court of sidemen that includes McCoy Tyner, Jimmy Garrison, Elvin Jones, Vince Guaraldi, Jimmy Whiterspoon, Jim Hall, Bob Cranshaw, Ben Riley, Keith Jarrett, Ron McClure and Jack DeJohnette. Almost two hours of the best jazz ever filmed. Filmed in December 1963. With McCoy Tyner, Jimmy Garrison and Elvin Jones. Solo actuacion, sin entrevistas. / Filmed in October 1961. With Paul Desmond, Eugene Wright and Joe Morello. Includes a new version of Take Five. Recorded in Copenhagen's Jazzhus Sluketter in 1985. With Niel Jorgen Steen, Jesper Lundgaard and Ed Thigpen. 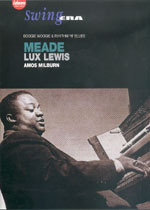 Recorded in trio in 1992 in London. 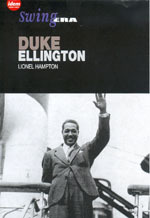 It's a set that includes several well known standards played by Drew, Niels Henning Orsted Pedersen and Alvin Queen. 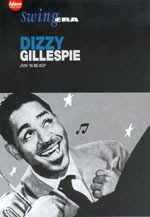 All The Performances included on the Legendary Movie "Jivin' in Be-Bop"
Filmed in January 1961 with one of his best quintets. With Lalo Schifrin, Leo Wright, Bob Cunningham and Chuck Lampkin. / Filmed in May 1964. With Gary Lang, Perry Lind and Benny Barth. 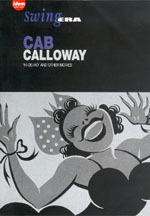 Recorded in 1982 at the Frisco's Great American Music Hall. With Diz Disley, Martin Taylor and Jack Sewing. Two excellent concerts recorded in 1981 and 1982 respectively. With Ronnie Matthews, Eddie Gomez and Kenny Washington. Filmed in July 1962. With Sal Nistico, Nat Pierce, Bill Chase, Paul Fontaine, Dave Gale, and others. / Filmed in May 1963. With Sal Nistico, Nat Pierce, Bill Chase, Paul Fontaine, Dave Gale, and others. A jewel of a DVD. 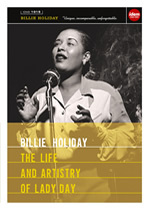 Includes rare images of her singing among such genius as Count Basie, Lester Young, Duke Ellington, etc. It also features a biography, discography, lyrics, her compositions and bibliography. Filmed in April 1968. With Randy Brecker, Garnet Brown, Benny Powell, Jimmy Kneeper, Bob Brookmeyer, Seldon Powell, Jerome Richardson, Pepper Adams and Roland Hanna. / Filmed in Febrero de 1964. With Sal Nistico, Nat Pierce, Bill Chase, Paul Fontaine, Dave Gale, etc. Filmed in May 1968. With Mose Thomas, Lee Gatling, James Toney and Sonny Freeman. / Filmed in June 1962. With Bob Neighbor, Bob Helm, Peter Clute, Harold Johnson and Lloyd Byasse. Filmed in January 1964. With Steve Swallow and Walter Perkins. / Filmed in July 1962. 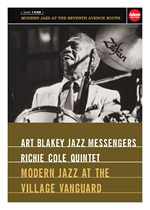 With Bob Brookmeyer, Wyatt Ruther and Gus Johnson. Recorded in Cannes, january 1990 w/Phil Woods, Hal Garper, Bill Goodwin, John Hendricks, Steve Gilmore, Jimmy Cobb, Ben Sidran A.O. Filmed in May 1964. With Frank Strazzaeri, Hersh Hamel and Bill Goodwin. / Filmed in September 1963. With Fred Marshall and Jerry Granelli. Filmed in December 1963. With Robert Mielke, Darnell Howard, Joe Sullivan, George Foster and Earl Watkins. / Filmed in December 1963. A piano solo. 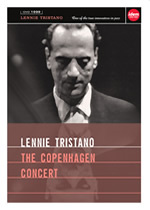 Some of the only footage of Tristano live. 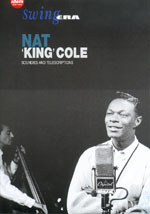 This is a superb concert where he plays solo at the Copenhagen's Tivoli Gardens Hall in 1965. This edition of Monterey Jazz Festival boasts an unforgettable line-up. This reunion of talent in this town on the Pacific was memorable. 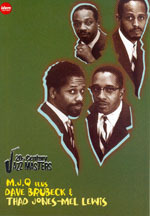 The international jazz elite was reunited there to play a great variety of concerts. 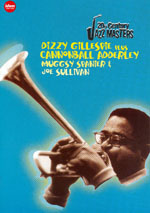 Specially centred in classic jazz with people like Bill Evans, Tokisho Akiyoshi, Clark Terry, Paul Desmond, Dizzy Gillespie, Cal Tajader, Etta James, Marian McPartland. John Lewis, Sven Asmussen, Chuck Mangione. Filmed in March 1968. With Jay Cameron, Richard Whitsell, Warrin Bernhardt, Arthur Harper and Bin Riley. / Filmed in June 1968. With Keith Jarret, Ron McClure and Jack DeJohnette.